Washington-based PR firm will handle communications for KSRelief, which is backed by the Saudi government. The King Salman Humanitarian Aid and Relief Center has hired Qorvis Communications for media relations services. The Washington DC-based Publicis Groupe agency is expected to provide PR services to the organization, also known as KSRelief, as soon as its contract is finalised, according to documents filed in the Foreign Agents Registration Act database. Its services may include PR training, media relations, events, drafting op-eds and conducting workshops or seminars for journalists or think tanks, according to the filing. 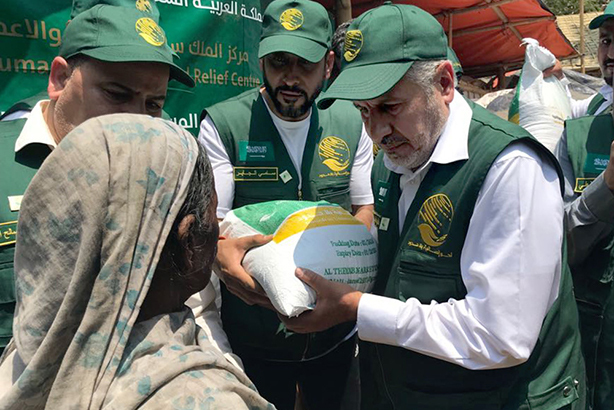 The agency has begun publishing materials on behalf of KSRelief, which is funded by the Saudi government. It distributed a press release earlier this month saying that the organisation has joined the UN in observing the International Day for Mine Awareness and Assistance in Mine Action. KSRelief said it has dismantled 50,000 landmines in Yemen, where it has been involved in a civil war since 2015. On its website, Qorvis says it also currently works with the Royal Embassy of Saudi Arabia by providing "critical assistance" in educating the US about Saudi Arabia and works "affirm the importance of the Saudi-US relationship to the U.S. government, media and public". "Qorvis assists the Embassy by amplifying Saudi Arabia’s policies on a range of issues, from counterterrorism and regional security to the Kingdom’s transformation to a more diversified economy," it added. The latest contract comes six months after the murder of journalist Jamal Khashoggi in the Saudi consultate in Istanbul. In March, KARV Communications was hired by Saudi Arabia’s Public Investment Fund, or PIF, and tasked with letting investors, potential portfolio companies, business leaders, the media, and others know that PIF is focused on business, according to documents filed with the Department of Justice.